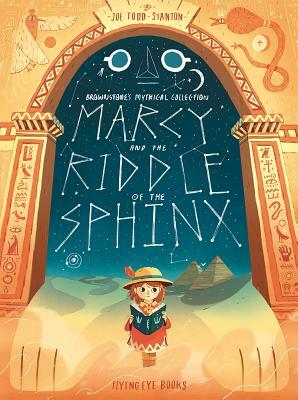 Kids will love this exciting excavation of ancient Egyptian myths as they follow along with the clever Marcy on a quest to save her dad from the belly of the sphinx! Joe Todd-Stanton grew up in Brighton and was taught to draw by his mother, who is also an illustrator. He studied at UWE Bristol, receiving a first class degree in Illustration. Stanton has been commissioned to work for clients such as Oxford University Press, Usborne Publishing and Aquila magazine. His first picture book, Arthur and the Golden Rope, was published by Flying Eye Books in 2016.